This rain sensor and water detection sensor is used to detect water leak, water level or rains through a series of parallel wires exposed traces. 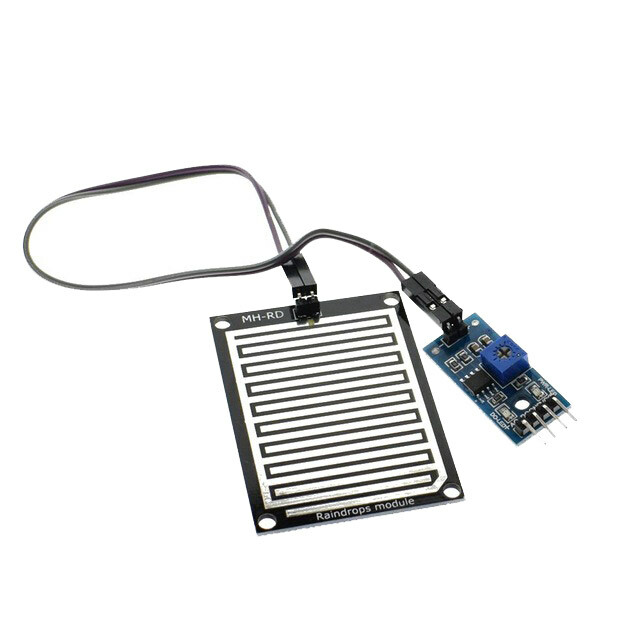 This rain sensor and water detection sensor is used to detect water leak, water level or rains. This is obtained by having a series of parallel wires exposed traces. The sensor traces have a weak pull-up resistor of 1 MΩ. The resistor will pull the sensor trace value high until a drop of water shorts the sensor trace to the grounded trace. DO TTL digital outputs can also be connected to the microcontroller detects whether there is rain . I used this to test an automatic anti rain screen for my balcony. Worked perfectly and I will be ordering three more.